Most of us have our “go to” shopping sites and favourite businesses, both online and off. What drives our choices? When it comes to clothes, then style and taste come into it in a big way, and we may be familiar with a brand already on the high street. For mobile phones, design and the features available will be a big influence on choice. For some people battery life will be one of the key considerations, while for others size of screen and ease of use will drive their decision. You’ll be lucky to find all the features that you want in a single phone, so when you’re buying your next mobile, work out what are the most important points that you are looking for. Be realistic about the features that you really need and will use daily, and those that are just “nice to have’s” but not essential. For some people a phone is more of a fashion accessory, while for others it’s essential to their working role so reliability and call quality might be more important than a very wide range of features. The sim only deals on the market have multiplied, and if you want the widest range of phone choice with (longer term) more economic deals, then these might be for you. 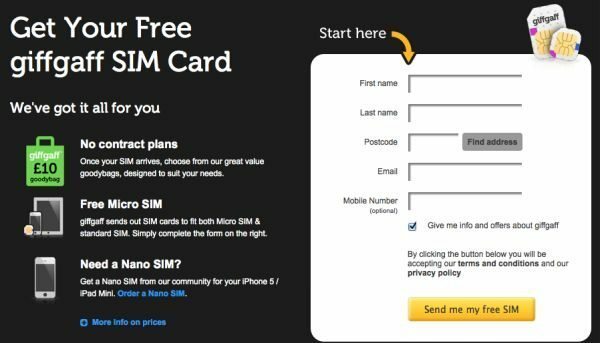 All the major network providers now offer sim only deals, so you’ll need to do your research to discover which might suit your needs best. The pioneer in this market was giffgaff, who not only offer a free sim card when you sign up with them, but you also get immediate access to a like-minded community for technical help, news and advice. If you want to keep on top of news and events and also learn about any technical hitches, then giffgaff’s Twitter account will keep you in the know. Before you review the phones on the market, it’s worth making a note of all the features that you want in your next phone. Check out whether call quality, for instance, is affected by the very wide range of features offered by some models. If you do more texting than you do voice calls that might not matter so much to you – and streaming media with little or no buffering could be something that is really important. There are lots of good deals on the market right now, but before you buy just make sure that you don’t get seduced into signing up with a network service provider that would not otherwise be your first choice. As with any important buy, it’s worth doing your research to make sure that you get the right phone and the right deal for you.